Diverse scenery and multi-use trails are what makes this Wildlife Management Area such a worthy destination. 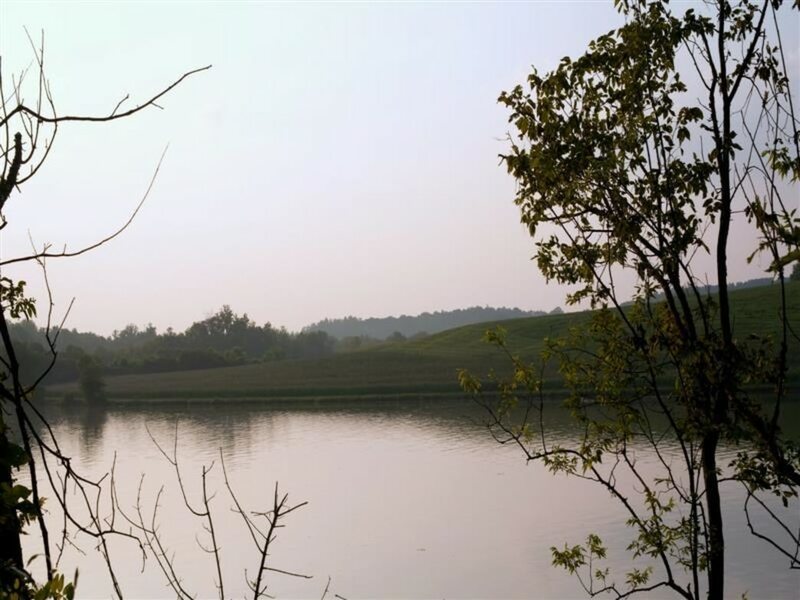 Located just minutes south of the city, Forks of the River WMA is a large part of Knoxville's expanding urban wilderness corridor. It features 8.4 miles of trails within 331 acres and connects to the Will Skelton Greenway. 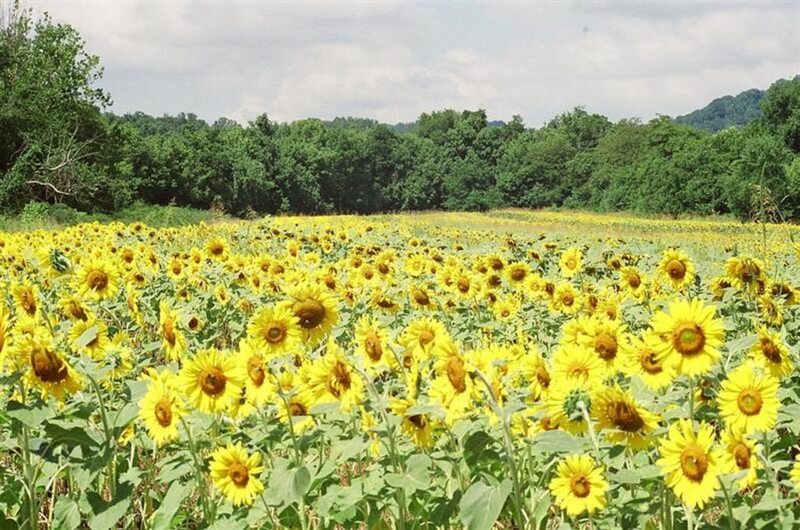 The greenway winds along the Tennessee River to the east and the WMA fields to the west. As the greenway begins to fade, the cross-country trails start to appear.The Legacy Parks Foundation is largely responsible for this incredible gift to the city of Knoxville. With the help of the Appalachian Mountain Bike Club, they've created a system of trails that is great for anybody and everybody. 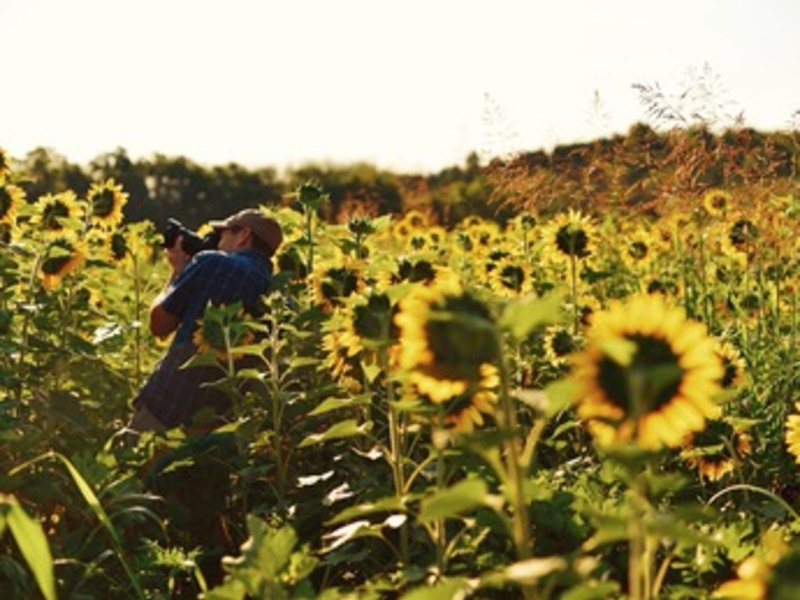 Most of these trails are rated as easy to moderate in terms of difficulty, and they meander through all sorts of surprisingly diverse environments: from hardwood forests to open fields to the banks of the Tennessee River. Trail running, mountain biking, and hiking are all very popular options in this wonderful Wildlife Management Area. 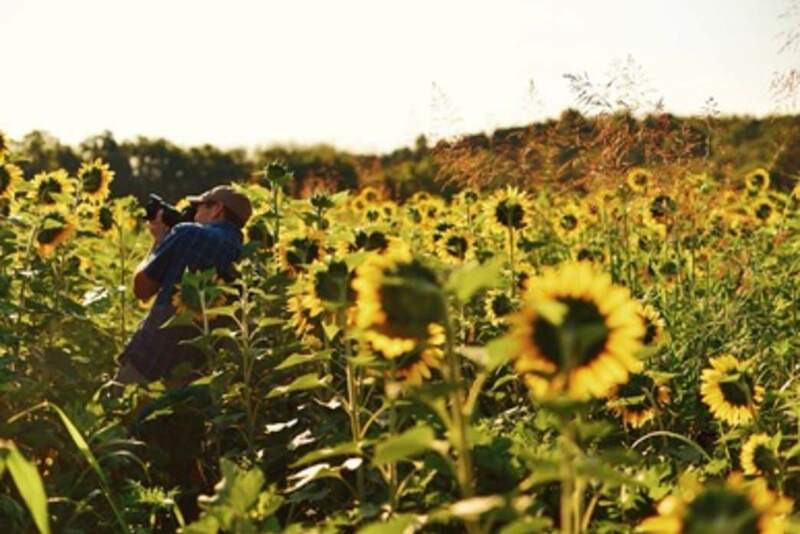 And in the summer, you'll be treated to an explosion of magnificent, bright yellow sunflowers in bloom. Seasonal ClosuresBecause this area is maintained with legal hunting seasons, there are several closure periods that can be found here. If there is a posted sign that the area is closed to runners and bikers, know that hunters may be in the area and it is a danger to use at that time. With many miles of trails working their way around the property, runners, bikers, and hikers will have plenty to keep themselves busy. The unique landscape, consisting of old farmland mixed with riverside forest, gives many Knoxvillians the perfect in-town getaway during their work weeks or during the weekends. 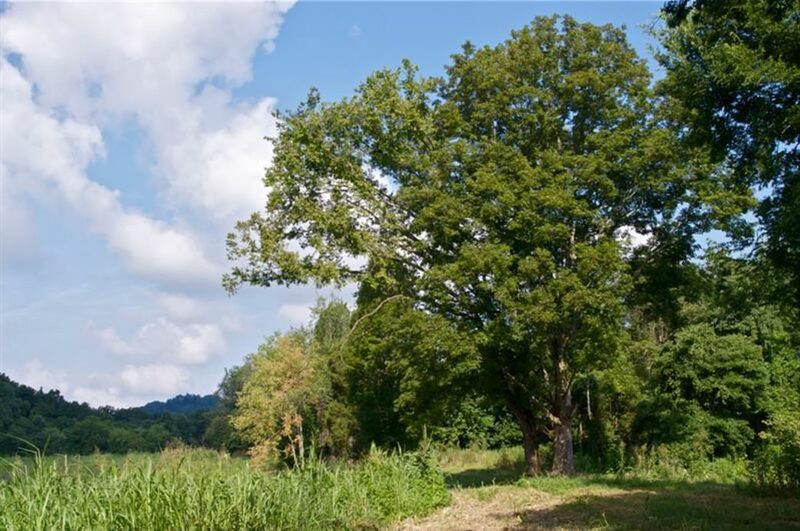 The entire Knoxville Urban Wilderness Corridor is composed of great properties. A map of the trails can be found at several locations throughout the property, or a map can be viewed here. Although most of the trails in the Forks of the River WMA are beginner/intermediate friendly, there are a number of short black diamond trail sections to get your adrenaline going during your tour of the property. Many users of this park and the other areas of the Wilderness Corridor will use the outer trail (called Dozer, Bluff, Aggies Run, or Will Skelton Greenway at various sections) to link the Forks of the River area to others within the Corridor. By following the outer trail out the northwestern side of the park (Will Skelton Greenway at this point) the trails at Mead's Quarry and Ijams Nature Center are not far away. By following the outer trail (Dozer) out the southwest side of the park, the Anderson Elementary School trails can be reached. By doing this, miles upon miles of options are opened up. A long day of riding is easily within reach with all of these interlinked properties, especially since there are 42 miles of trails on the Southern Loop (including all of South Knoxville's linked Urban Wilderness areas). Mountain bikers and trail runners will have the most fun here, but recreational hikers looking for a quick getaway will also have plenty of fun exploring this great resource. 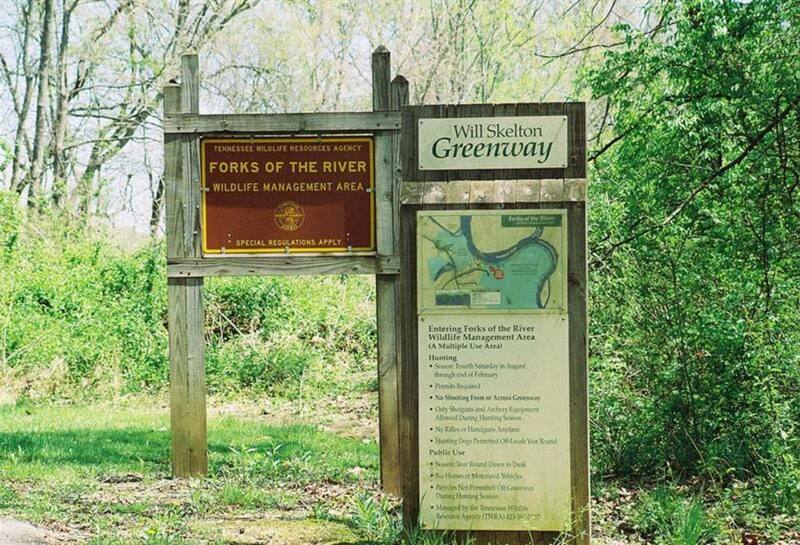 There are two parking areas for the Forks of the River WMA trails. The north parking lot is found by driving down McClure Lane until it dead ends. The south parking lot is along Burnett Creek Road. If these parking areas do not put you near your chosen trail, the map linked above will show where some additional trailheads can be reached.